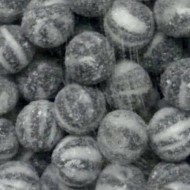 Tilley's Choc Mints Mint flavour boiled sweets 1kg These are an alternative flavour to the Ch..
Tilley's Everton Mints - Mint flavour boiled sweets. 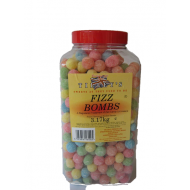 1kg These are delicious ..
Tilley's FIZZ BOMBS FRUIT HALAL HARD CANDY SWEETS 1kg - Assorted Fruit flavour ha.. 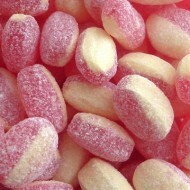 These are delicious Strawberry and Cream Fruit flavour boiled sweets. 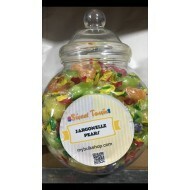 Great for swe..
Tilley's: Blackcurrant & Liquorice Fruit Flavour Boiled Sweets 1kg ..
Tilley's Bulls Eyes Black & White Hard Boiled Mint FLAVORING Sweets h..
Tilleys Choc Limes Fruit Chocolate Flavour HARD BOLLED SWEETS 500G WEDDING PARTY &n..
Tilleys Jargonellle Pears LARGE VICTORIAN GIFT JAR.Approx 1.9kg. 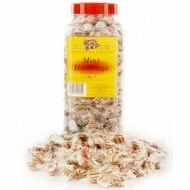 Sweets as they used to be.Great fo..
Tilleys Mint Humbugs Flavoured Hard Bolled Sweets With A Toffee Centre 1kg &nbs..
Tilleys Rhubarb & Custard Traditional Hard Boiled Sweets 500G WEDDING PAR.. 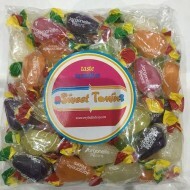 These are individually wrapped fruit flavour boiled sweets. 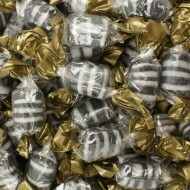 Sweets as they used to ..
Tillys Jargonelle Pears Wrapped fruit flavour boiled sweets. 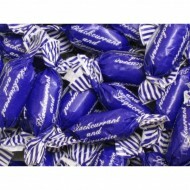 as they 1kg BAGS These are indivi..